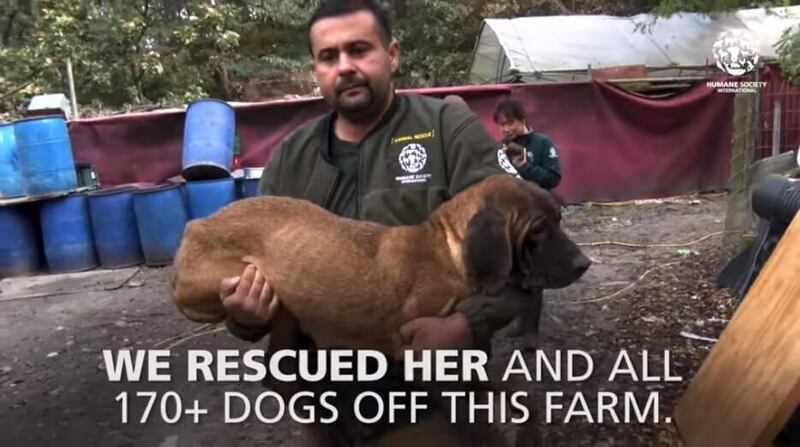 Watch as 170 Dogs Were Rescued In A Dog Meat Farm In South Korea! Dog meat consumption – three words that sent shivers up my spine the moment I learned about them. I mean, for real? How can someone eat a dog – man’s best friend? First dogs are neglected. Then the news is pouring about dogs being abused. Then there goes owners who leave and abandons their pets in the streets. And now people are actually breeding, selling and buying dogs to eat them?! Unbelievable. I came across a video that rescued a huge number of dogs in South Korea from a dog meat farm. It hurts to know that dogs are treated as regular live stocks – meats people buy, sell and actually enjoy eating. 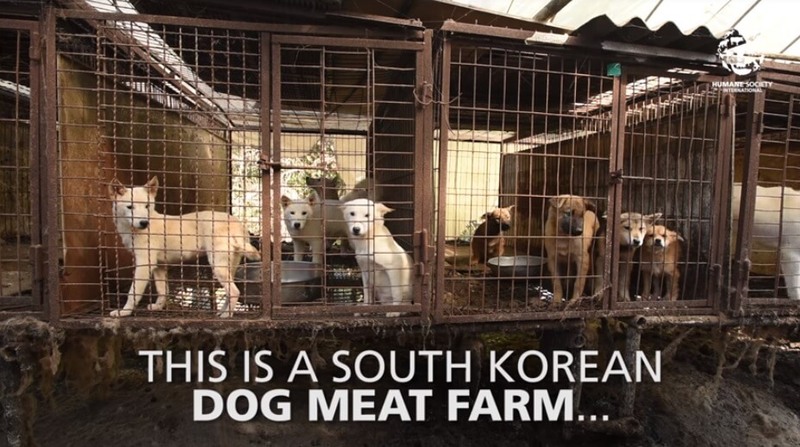 The South Korean Dog Meat Farm is a horrific view of anyone who is a dog lover and owner. But I personally don’t think you have to love and own dogs before you can say this is something that should never happen. Lots of dogs – and I’m talking about more than 170 dogs were found in the dog meat farm when the Humane Society of the United States came to save and confiscate these poor and homeless dogs. Dogs were in a horrendous state – not only in their living conditions but also in the state of health they are currently in. The dogs were very skinny. They are obviously starved, dehydrated and unhealthy. One big brown dog was even found alone in a cage bigger than the others, and he was emaciated. The poor dog was so skinny, he was skin and bones. When rescuers approached him, he did not even bother to move and was clear that he has not enough energy left. He had to be lifted and carried out of the farm. The dogs were of different breeds – it seems no dog type is spared! Some could have been stray dogs captured in the streets, while others have families way before they arrived at the dog meat farm. Their collars are a sure sign they once belonged to a family, and that they are someone else’s pet. Some are adult dogs, some were young, and some just started their life as they were just born a few days or maybe weeks before being rescued. They only have enough room to turn, and were most likely never have stepped foot out of their cages. (AWESOME) Dogs Are Not Pets, They Are Family!